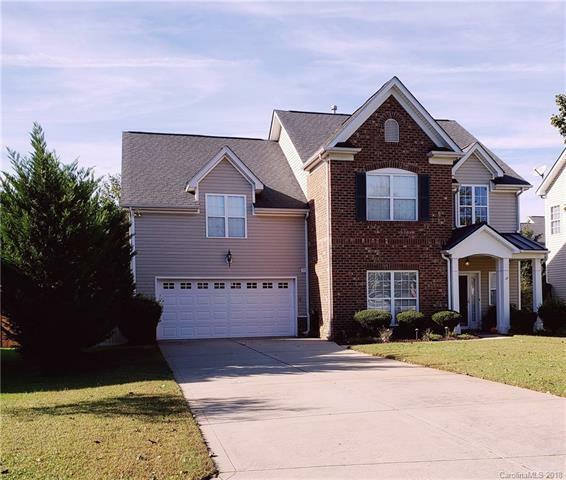 Beautiful cul-de-sac home in highly desired Regent Park in Fort Mill. Private backyard with garden areas, screened back porch and patio. Great open floor plan. Large kitchen with granite counters, SS appliances, kitchen island, pantry and lots of cabinet space. New engineered wood flooring upstairs, new living room carpet and on the stairs. Large master suite with walk-in closet and tray ceiling. Upstairs has a nice large secondary room that can be used as 4th bedroom/bonus. Great location and convenient to Charlotte, Rock Hill, shopping, dining and more. Home is being sold "as is" with no known issues that are not documented on SC Residential Property Condition Disclosure.